With spring well and truly here, I thought I’d share two scents I think are perfect for this time of year! My first favourite, is the Viva La Juicy La Fleur. This has been a firm favourite of mine for about two years now, I just haven’t got bored of it. I know that the Juicy Couture packaging can be a bit tacky, but don’t underestimate their scents, they’re lovely! It has notes of wild berries, sparkling mandarin, waterlily, honey suckle and caramel. Basically, its a very light, sweet/floral scent that I never get tired of. My second favourite, is actually a new addition. Luckily, I found this in the sale for only £3.75 – such a bargain! Its The Body Shop Italian Summer Fig. This is only the fragrance mist, but its still really strong. Its described as a fresh, green, fruity scent and that is spot on. Its different to a lot of other ‘summery’ scents around, as its definitely more fresh than floral/fruity which actually I prefer. Its hard to describe scents, but I mean you can go and give these a sniff if you’re passing Boots or something haha, I promise they won’t disappoint if you’re looking for a new spring/summer fragrance. 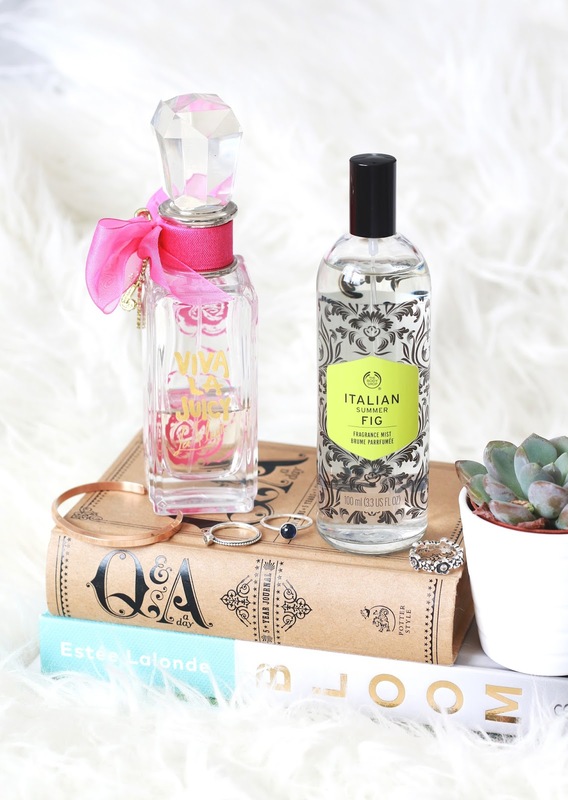 Whats your favourite spring/summer fragrance?